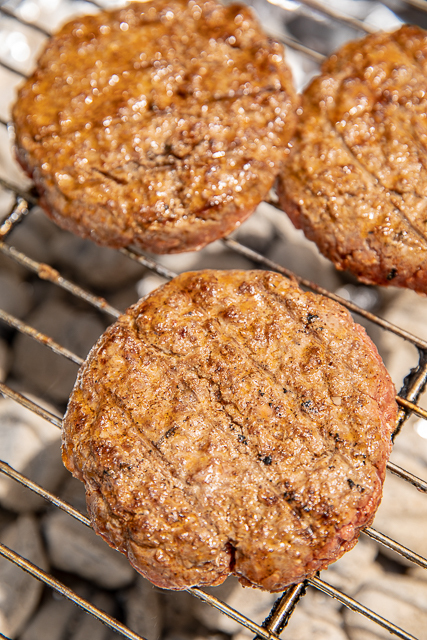 We LOVE to grill burgers. 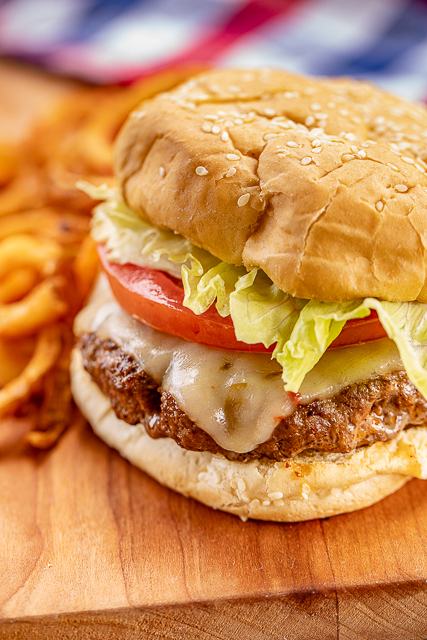 It's hard to beat a homemade grilled burger! 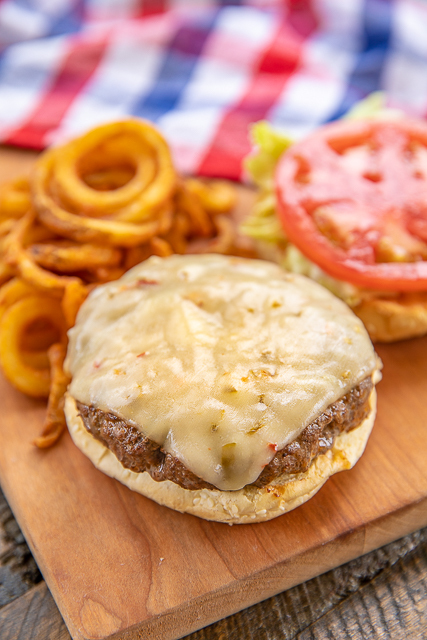 These Pepper Jack Whiskey Burgers were a big hit in our house! Ground beef, Worcestershire sauce, chili powder and a shot of whiskey. YUM! 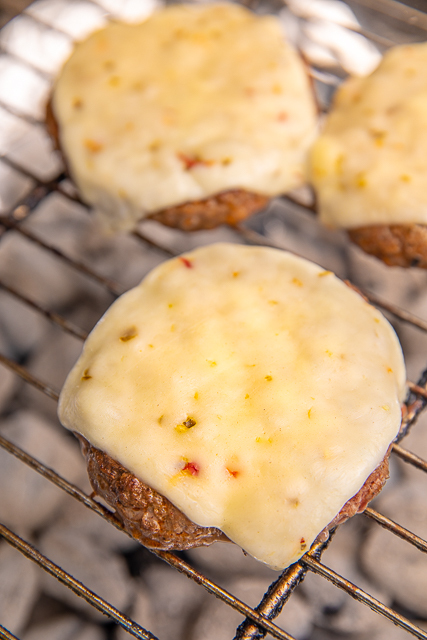 We topped the burgers with some pepper jack cheese for a little kick! SO good! 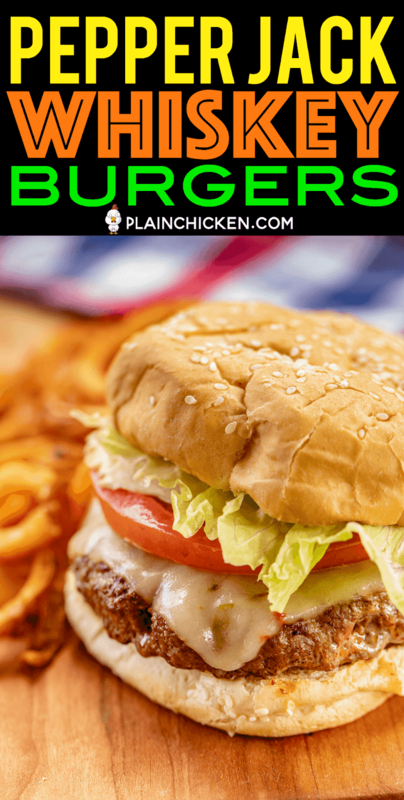 You could also top the burgers with a little fresh salsa too. 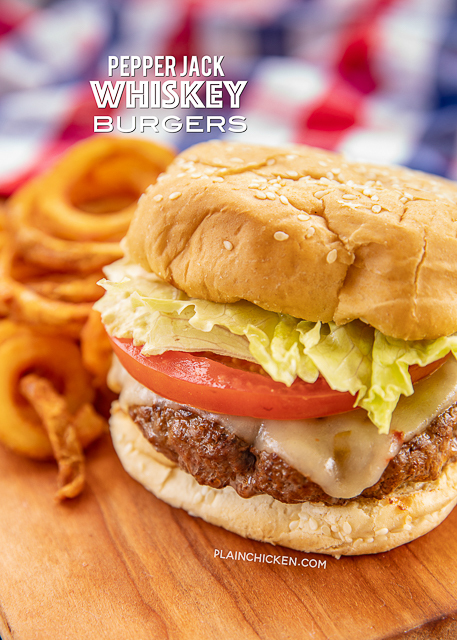 You can make these Pepper Jack Whiskey Burgers ahead of time and freeze the patties for a quick meal later. This recipe is easy to double for a crowd. 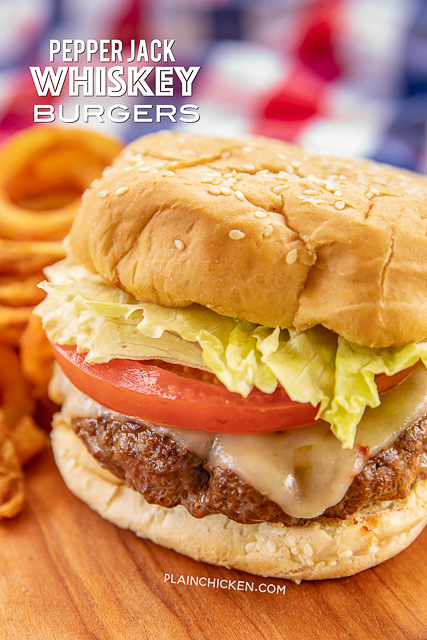 These burgers will be a staple at our tailgates this fall. 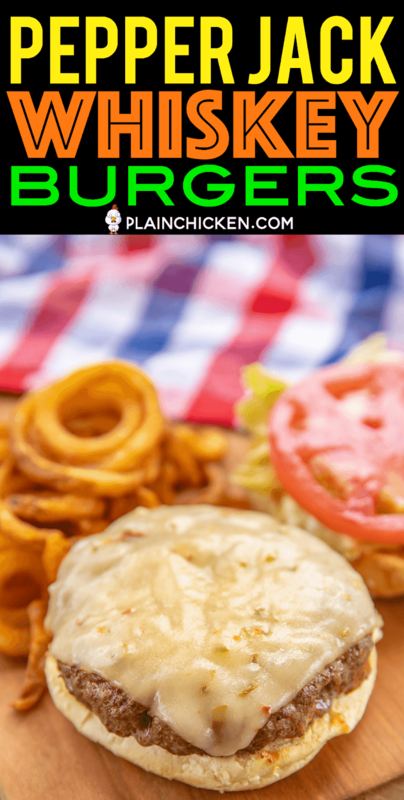 Serve these Pepper Jack Whiskey Burgers with some fries, Pepper Jack Pasta Salad or our Slow Cooker Cowboy Beans. 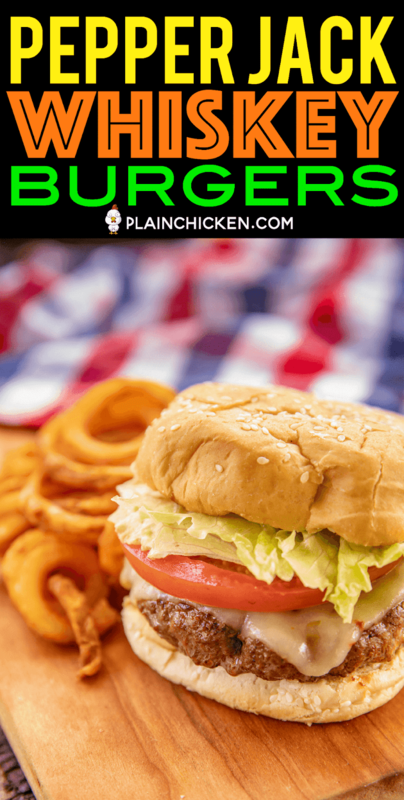 Give these delicious burgers a try the next time you fire up the grill! Combine ground beef, whiskey, Worcestershire sauce, garlic salt, and chili powder. 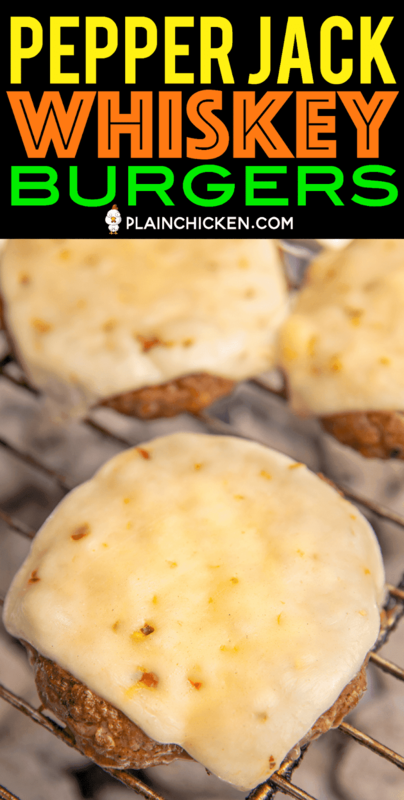 Form into 5 patties with a hamburger press. Prepare grill. 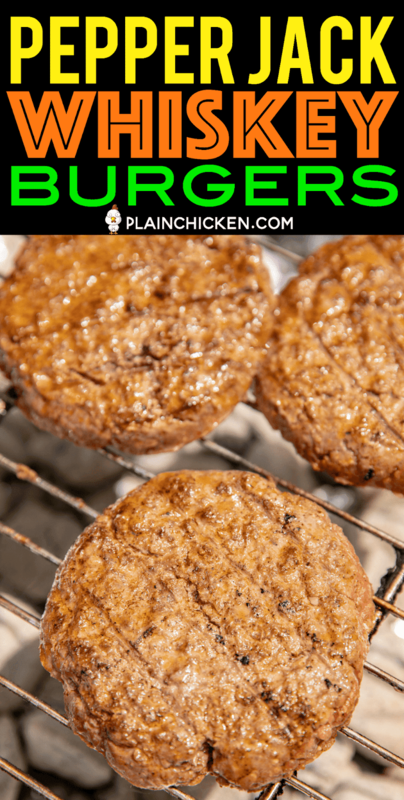 Cook burgers 3 minutes, flip. Top with cheese and cook an additional 2 to 3 minutes.